정리해봤습니다. 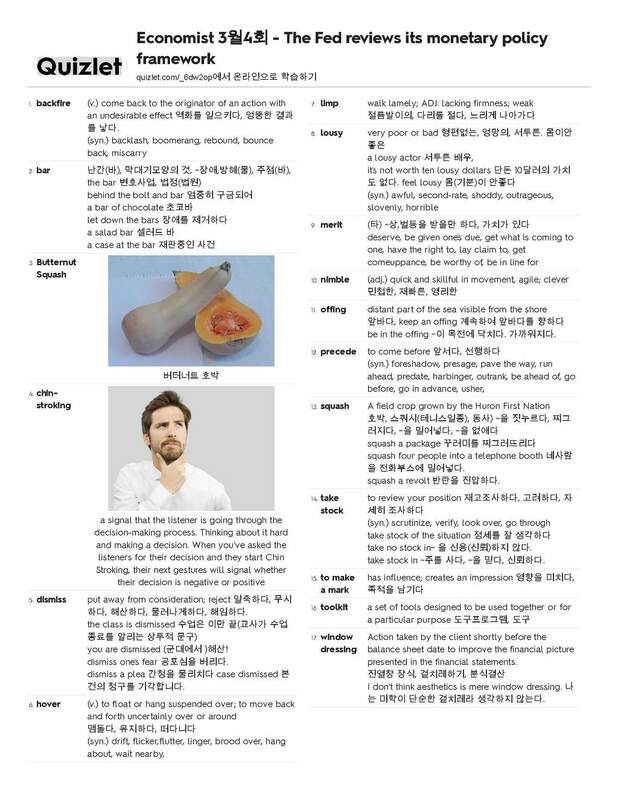 아래 Quizlet사이트에서 해당 단어를 복습,테스트 할 수 있습니다. Food for thoughtThe Federal Reserve reviews its monetary-policy frameworkAre there better ways for it to meet its inflation target?